Ok! That's it! I can't go any further with this comic book. 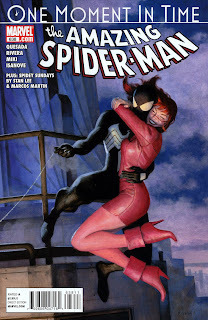 You can alter Spider-Man's history, you can take the Venom symbiot away from Eddie Brock, and in this very issue you can draw Peter Parker kind of chubby; but for the love of everything the Spidey-verse is, was and ever shall be...you have to get Mary Jane's hair color right. 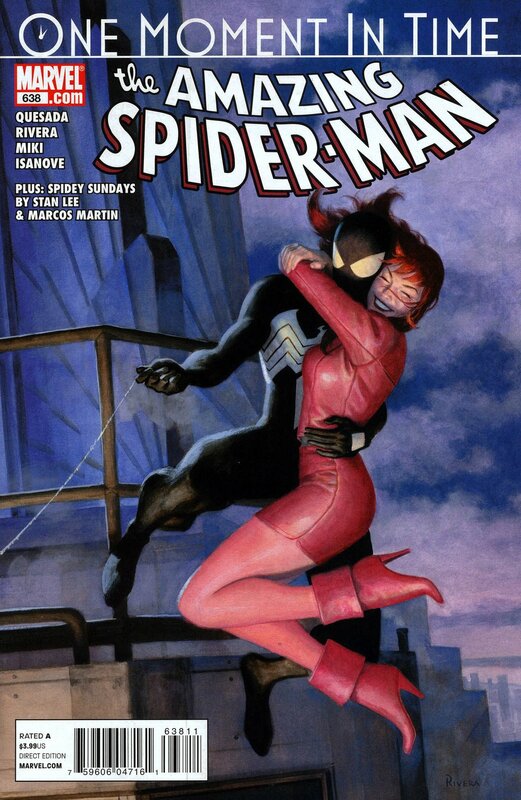 Mary Jane's hair (deep breath) is RED!